للمسافرين الذين يرغبون أن يعيشوا كل ما تقدمه المدينة، Adelaide Motel هو الخيار الأمثل. إن موقعه الجيد الذي يبعد 2.0 km فقط عن مركز المدينة يساعد النزلاء على الاستمتاع بمعالم المدينة ونشاطاتها. كما يمكن الوصول بسهولة إلى عدة معالم سياحية قريبة. يعمل Adelaide Motel على ضمان إقامة مريحة لضيوفه من خلال خدماته الممتازة وحسن ضيافته. هذه بعض الخدمات الموجودة في هذا الفندق: واي فاي مجاني في جميع الغرف, مرافق مخصصة لذوي الاحتياجات الخاصة, تسجيل وصول/خروج سريع, واي فاي في المناطق العامة, صف السيارات. في الفندق غرف نوم يتجاوز عددها 10، كلها مجهزة بعناية وجمال وبعضها مزود بـ تلفزيون بشاشة مسطحة, اتصال لاسلكي بشبكة الإنترنت (مجاني), غرف لغير المدخنين, تدفئة, خدمة الإيقاظ. كما أن مجموعة الخدمات الواسعة الموجودة في الفندق لضمان راحتك تترك لك الكثير من الخيارات لقضاء وقتك أثناء فترة إقامتك. إن كنت تتطلع إلى إقامة مريحة وهادئة في المدينة، فستجد في Adelaide Motel بيتك الثاني. Delightful staff, quick bus ride to CBD, supermarket, sushi & burger just metres away and many ethnic restaurants a short walk away. Hospital right there. Full Sky TV. Excellently located in relation to the Wellington Hospital with many services close by. The manager, Linda, was very pleasant and helpful. Would stay there again. Excellent position for an overnight before visiting the specialist. Staff was really friendly, too. Very handy to Wellington Hospital and Newtown restaurants. Countdown across the street. Nice location fifteen mins walk from the town centre. We had First floor flat with balcony. A little noisy with both the road and downstairs neighbours keeping us awake at night. There are many bus routes to town nearby and a huge countdown store. Good location, opposite a supermarket, old motel, u can hear people walking If u stay at ground floor. It's an aging motel which probably makes it difficult to keep the rooms looking clean. The room was too small, and the toilet door opened directly to the bed from the toilet. The building was probably made before sound proofing regulations came into force; the persons above us in the level one room must have been concerned about something judging from the pacing being done. This is ok as far as it goes - it's not a 4 or better star motel after all. But for this package, the motel is over-priced by a significant margin. I would have been happy enough to stay at about the $90 per night mark. I won't be going back at $135 per night. 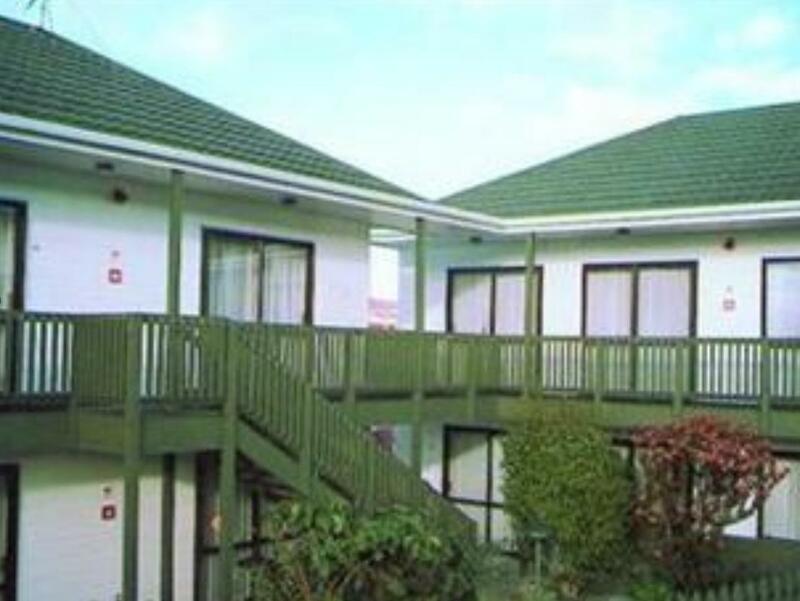 There are two better motels for a similar price around the corner on the way to Newtown.